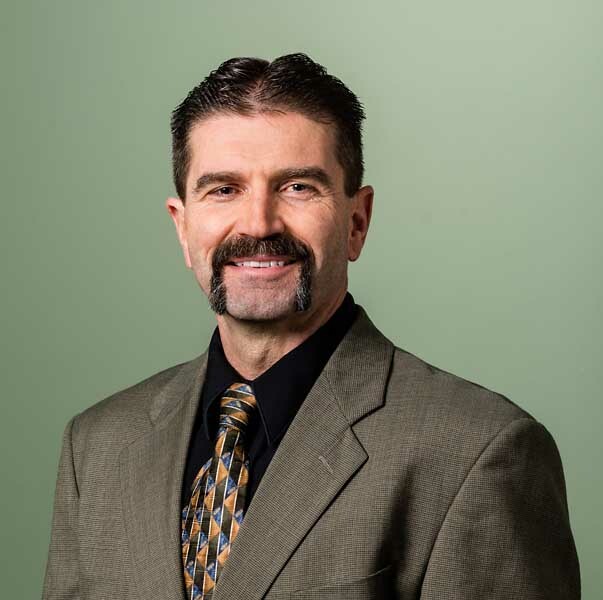 Robert E. Chaput, Jr., P.E., President and CEO of S. W. Cole Engineering received an award from the Associated General Contractors (AGC) of Maine. 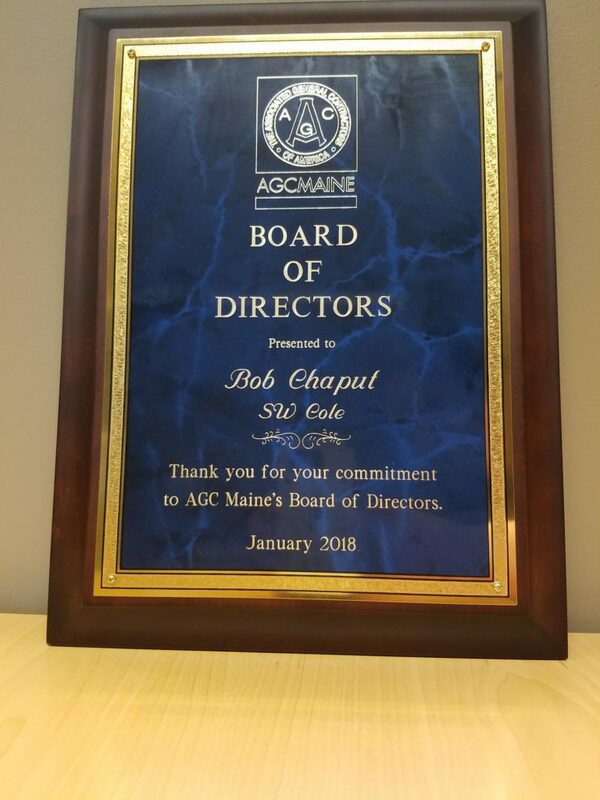 The award, which was given in recognition of Bob’s outstanding commitment to the Board of Directors of AGC Maine, was part of a larger ceremony on January 31st held at Thompson’s Point in Portland, Maine. The night’s activities also included a construction economics forum, as well as an infrastructure forum with several gubernatorial candidates. Bob remains committed to the construction industry in all of New England. S. W. Cole Engineering, as well as S. W. Cole Explorations (SWCOLEx) www.swcolex.com and Tibbetts Engineering Corp. (TEC) www.tibbettsengineering.com can provide many services to the industry, including construction materials testing, special inspections, construction observation, construction administration, geotechnical engineering, and geoenvironmental services. With offices throughout Maine, Massachusetts, New Hampshire, and Vermont, we are conveniently located to serve our clients needs. Call your local office today to schedule your services with our award winning team!